Chicken legs are one of those great easy foods that everyone seems to love. 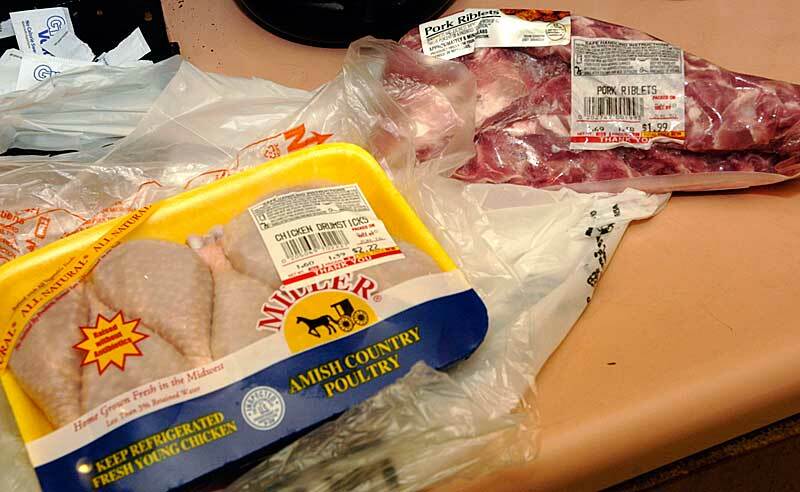 I found some on sale at the store as well as "riblets." Near as I can tell riblets are sliced country ribs. I'm not a fan or Hormel's salt solution in the bag, I can keep my food moist on my own thank you, but the price wasn't bad so they're hitting the grill for some smoke today too. Apple and cherry are both great on chicken and pork. I don't have any chunks so we're making a pouch. 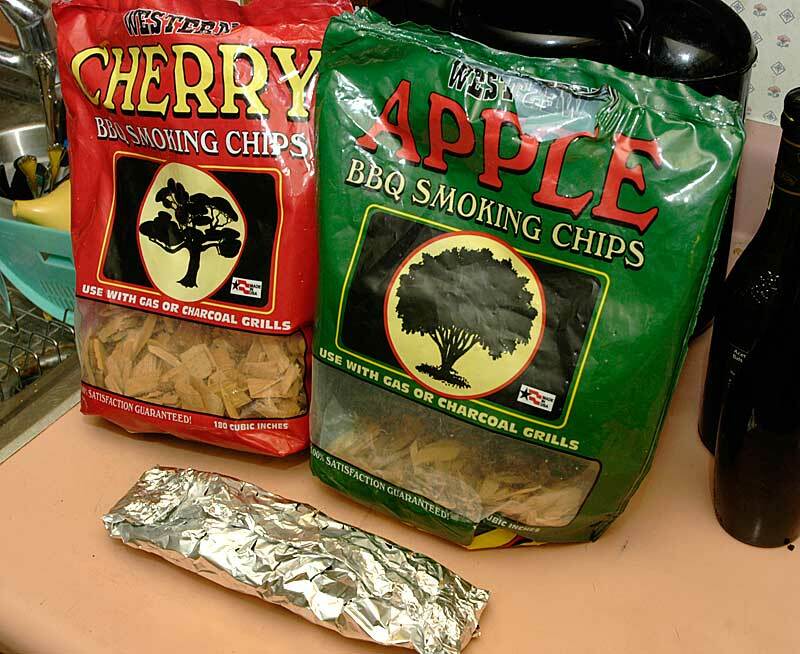 Grab a fistfull of each chip and fold it up into a little package. Poke several holes on the top. This will let the chips burn slowly, just thrown directly on the fire they don't last long enough. I lit a chimney full of lump charcoal and poured it onto the right 1/3rd of the grill. The chicken and pork will be on the indirect side. 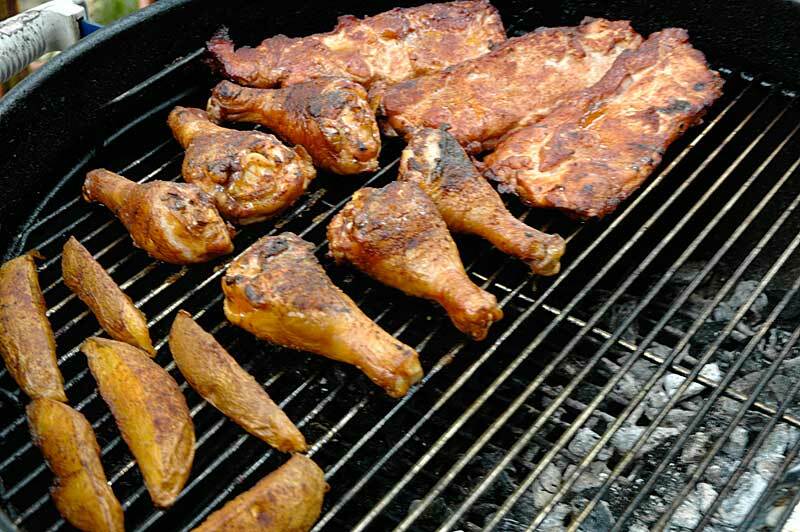 The riblets are seasoned with my usual bbq rub, and the chicken has season salt. Leave the bottom intake open about half way and the top fully. I couldn't resist and also added some par cooked potato wedges. This is about 45 minutes into the cook. The chicken is almost to 165 and the ribs are tender to a toothpick. 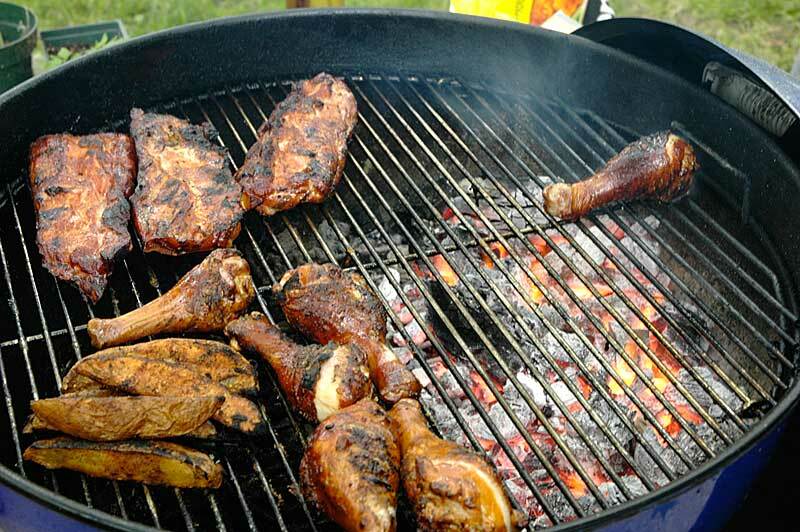 While you could pull the legs once the chicken hits 165, I like to take the lid off the grill and scoot all the food as far away from the fire as possible. In about 5 minutes you'll find red hot coals. 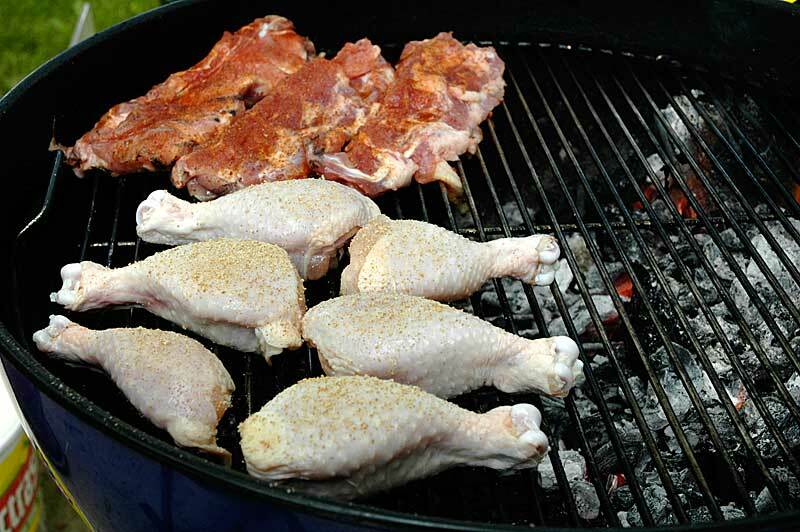 Now you can use direct heat to add a little crispness to both the chicken skin and to add some nice color to the ribs. Sadly there are no plated pictures. As usual, cooking brough rain and it was promptly devoured by others when taken inside. Contents are copyright NeverStopSmoking.com, all rights reserved. Be nice, don't steal my site.